Purpose: To determine if eating grapes can improve women’s health. 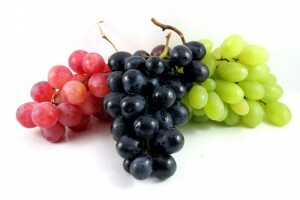 Background: Grapes contain vitamins, phytochemicals and antioxidants which are all beneficial to health. Consuming grapes may combat health issues related to decreasing estrogen levels in postmenopausal women. About the Study: The GRAPE study was a 12-week double-blind intervention study that looked at women who were 1-5 years postmenopausal (approximately 45-60 years old). Those qualified to participate consumed grape or placebo drink every day throughout the 12-week intervention. Before and after the study, participants were asked to complete a series of health, physical activity, and dietary assessments. All supplements were provided and participants were paid for their time and were given a copy of dietary and health reports, free of charge.